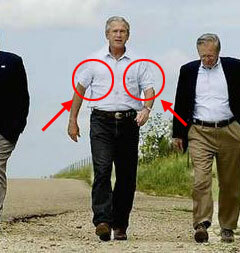 Crawford, Texas, June 22, 2059 -- The signature swagger of the late US President George W. Bush (2001-2009) was the result of a persistent armpit rash, newly discovered archival material shows. 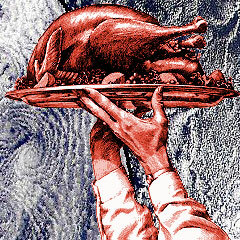 Duckbill, Wyoming, November 14, 2009 -- A comprehensive study performed by the American Turkey Council has concluded that Thanksgiving turkeys are "unlikely carriers of the avian flu, or bird flu, virus." According to the council, the chances of contracting avian flu by eating traditional Thanksgiving turkey are "probably less than one in four.